Out of schemes with a trademark twist of irony. 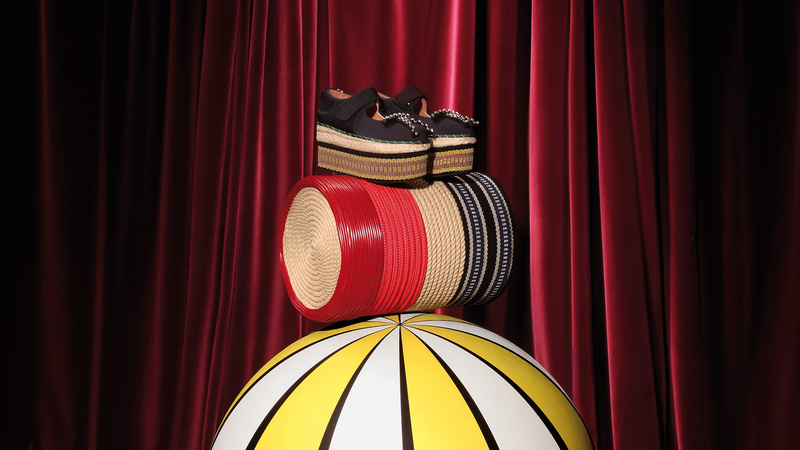 True to its creative approach, Marni has launched a special limited-edition shoe. The Marni Loony Wedges are a new take on the Marni Mary-Jane, which perches on a lofty wedge divided into three parts: one in cotton tape with a geometric combination of amber hues, one in cord, and lastly, one defined by a contrasting-coloured tubular drawstring. The uppers bridge the gulf between elegance and sportswear inspiration, fusing technical fabric and Velcro closures with a romantic decoration in crystal. 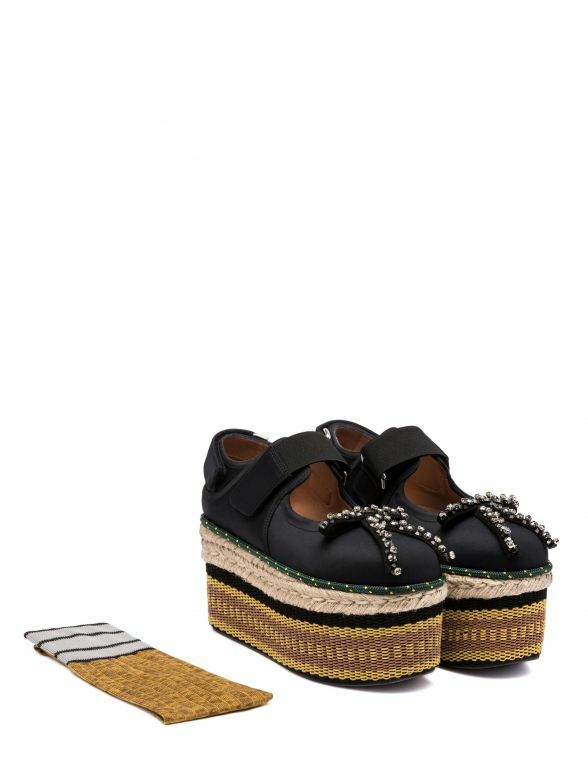 The Marni Loony Wedges are completed with matching complimentary socks that echoes the colours of the maxi wedge. Marni Loony Wedges will be available from the end of March exclusively at Marni.com and in Marni boutiques in Milan in Via Montenapoleone, Paris in Avenue Montaigne and London in Mount Street.